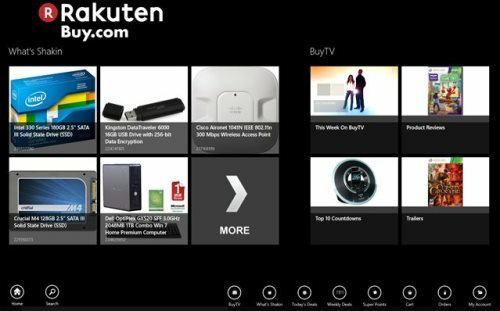 Here are 4 free shopping apps for Windows 8 that allow you to buy different items online such as home appliances, gadgets, kitchen ware, amazing fashionable clothes, hardware products, sports equipment, and more. Buy.com is a free Windows 8 shopping app that lets you deal only in gadgets and gears. You can easily deal in Television, Computer, Pen Drive, Camera, Laptop, and more. You can read public reviews on gadgets, its specifications, and instantly make purchases via Buy.com Windows 8 app. The unique part about this shopping Windows 8 app is that you do not require to sign up or to register yourself to get started with the service. All you need to do is simply launch the app and start accessing it. Go ahead and download Buy.com app in Windows 8 now. Twenga is one of the most popularly used online shopping platform. After being a successful website, Twenga is now available as a Windows 8 app under ‘Shopping’ section of its app store. You can easily make best possible deals out of the prices displayed for different items. You can shop for fashion accessories, home appliances, sports equipment, computer tools, and more. Now, the interesting part about this shopping app for Windows 8 is that you can also compare prices of two or more items with other online shopping stores. Go ahead and download Twenga app in Windows 8 now. 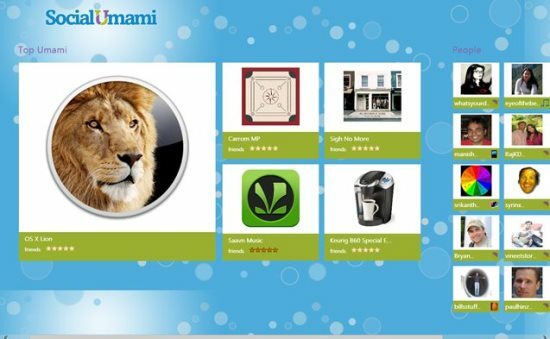 Social Umami is another powerful Windows 8 shopping app where you can find products you want to buy. In addition, the app comes with social networking service. Yup.. you can socialize with people about different items. Get their reviews about different products. Basically, here in Social Umami people in your group recommend you to buy products that are good in quality and excellent to use. It’s very different from the regular shopping cart where you browse around the categories and add item to your cart. Naah!!.. here, you can go around the selected products and choose among them to buy. Go ahead and download Social Umami app in Windows 8 now. Newegg is yet another shopping Windows 8 that is very much organized and subtle. 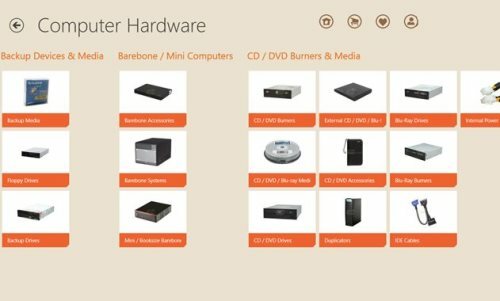 This Windows 8 shopping app lets you browse through different categories including products such as kitchen ware, home appliances, hardware products, gadgets, and many more. 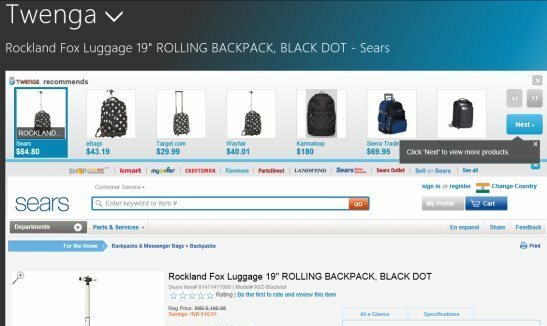 This shopping app lets you check everyday deals, or move around the categories. You easily select and add to cart as many items as you want. Newegg lets you add items one-by-one. Go ahead and download Newegg app in Windows 8 now.